With summer fast approaching, are you thinking, “Boy, I’d like to find a sprinkler system so I can stop worrying about watering the lawn and start enjoying summer more”? Well, stop wondering and start planning summer fun – we’ve got a sprinkler system for central Massachusetts here at Mike Lynch Enterprises. 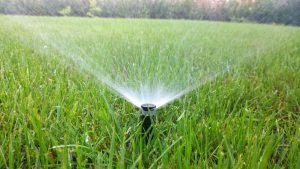 If you’ve been asking about a sprinkler system near me, we’ve got the answer, with sprinkler systems by Hunter and RainBird. No more dragging heavy garden hoses around your yard or watching your lawn burn out in mid-season. A professionally installed irrigation system from Mike Lynch Enterprises will save you time and money by conserving water. An experienced sprinkler system specialist for like Mike Lynch will design and install a system specifically for your property and needs. Best of all, as the owner of the company, Mike Lynch provides hands-on service for all of our customers. With over 30 years in business, Mike is on each and every sprinkler system installation project. So, stop wondering “can I get a cost-efficient, custom sprinkler system?” and call us here at Mike Lynch Enterprises. It’s time you got the lush, plush lawn you’ve always wanted. We’ll give you a fast, accurate estimate for your irrigation system so you can be ready for summer’s hot, dry weather.